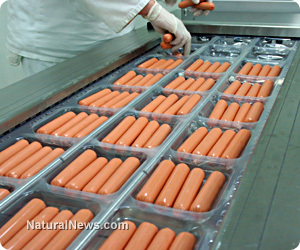 (NaturalNews) A number of past studies have pointed to a negative association between eating processed meats and significantly increased risk of developing cancer or heart disease and a shortened lifespan as well. Unfortunately, these research works have not been large enough to provide sufficient data to distinguish between red meat consumption, other dietary factors, physical activity and pertinent lifestyle practices that can also contribute to heart disease and cancer. Alternative health practitioners have long known that these chronic and often fatal illnesses are the result of lifestyle conditions that can be modified by the individual. Researchers publishing in Biomed Central's open access journal BMC Medicine have analyzed data generated by the European Prospective Investigation into Cancer and Nutrition (EPIC) study involving 10 countries and 23 centers in Europe covering nearly half a million people. Scientists were able to parse all available information to determine a distinct association between processed meat consumption and developing cardiovascular disease and cancer. The research team found that a diet high in processed meat was further linked to other unhealthy choices. Men and women who ate the most processed meat also consumed the fewest fruit and vegetables and were more likely to smoke. Additionally, men who ate a lot of meat also tended to have high alcohol consumption. After allowing for all confounding factors, the scientists determined that a person's risk of premature death increased proportionally with the amount of processed meat eaten. The study authors concluded, "Risks of dying earlier from cancer and cardiovascular disease also increased with the amount of processed meat eaten. Overall, we estimate that three percent of premature deaths each year could be prevented if people ate less than 20g processed meat per day." In a separate research study conducted at the University of Zurich in Switzerland, scientists determined that people who eat over 40 grams of sausage products or other kinds of processed meat each day increase the risk of mortality by 18 percent for every 50 grams of processed meat consumed. Researchers concluded that carcinogenic substances such as nitrosamines form through salting, pickling or smoking, and these might be the cause of the increase in cancer mortality. Processed meats are also rich in cholesterol and saturated fats, which are linked to an increased risk of cardiovascular disease. Researchers did find some health benefits to eating small amounts of meat due to the high content of nutrients such as B vitamins and minerals including iron. Those choosing to eat meat should ensure that all selections are organically raised and free of all antibiotics and growth hormones. It is also important to ensure that meats are not overheated or char-grilled to avoid excess AGE accumulation. A considerable amount of scientific evidence now exists to confirm that processed meat consumption is unsafe at any level and should be eliminated entirely to lower the risk of developing cancer and heart disease.